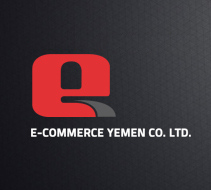 Welcome to e-Commerce Yemen Corporation Limited, the corporation that took the e-business and e-governments in Yemen by storm. A member of the e-Commerce Group, an international group strategically station in the Middle East, South East Asia and Europe, e-Commerce Yemen followed the steps of its sister companies in achieving high possessions with projects such as the Arab Market Places for the Arab League and the Market Places for the G15, as well as participating in big enterprises as the e-government for Al-Madinah Al-Munawarah, Saudi Arabia. E-Commerce Yemen has achieved a level-3 e-presence of Hadhramaut’s Local Authority with 98 web sites for all government offices and 30 provinces of the Governorate and a multi-language website that received high praises of government officials, local and international experts and visitors from over 75 countries. As a professional company, with world class quality standards and valuable partnerships with some of the region’s smartest ITC companies, e-Commerce Yemen Co. Ltd. has earned a high possession in the world of e-commerce and its ever lasting needs of e-marketing services When creating a web presence, we work on reflecting a smart image to draw users’ attention to a specific product and we help our clients to lure customers’ interest using e-marketing materials, starting with e-advertising, all the way through a complete marketing campaign. The company is relying on some of the best creative experts in the world of graphic design and content management to make the client’s message go through. We maintain high standards of web design and we make sure to include specific touches to reflect the clients’ personalities, products and services while creating a user-friendly environment, creative marketing ideas and strategies for targeted markets. Our consultancy services have been required for both government and private sectors, such as the Yemeni Ministry of Culture and Tourism (2004), The Local Authority of Hadhramaut Governorate (2005,2006) and The Federation of Yemen Chambers of Commerce and Industry (2007).